The special savour of Vietnamese tea has won the heart of the most prissy jury at the first International Gourmet Tea Competition “Teas of the World” recently held by the Agency for the Valorisation of Agricultural Products (AVPA) in Paris, France. 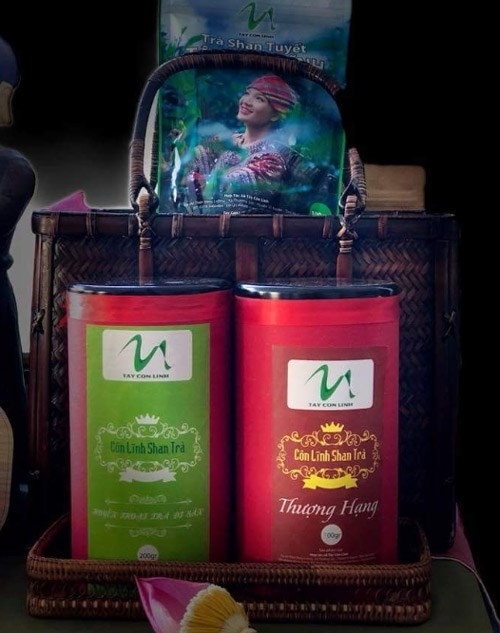 The Rizote tea of the northern province of Thai Nguyen, a locality famous for green tea, won the silver award, and the Carosa of Tay Con Linh Cooperative in Vi Xuyen district, the northern mountainous province of Ha Giang brought home bronze award. Another product of Tay Con Linh Cooperative - the Latchi Tay Con Linh, along with Oolong Oflora Moc Chau, and Oolong Ceriso Moc Chau originating from the northern mountainous province of Son La, received the Gourmet awards. The northern localities have been touted as a cradle of Vietnamese tea, and tea products from the region are highly evaluated in the European market, according to Barbara Dufrene, former Secretary General of the EU Tea Committee. The AVPA Tea Competition is unique in its kind, based on gastronomic rather than standardized refereeing, seeking a striking rather than consensual sensory profile. This is the first time that an independent body in a consumer country promotes the good practices of production and trade actors. Receiving international tea prizes will help Vietnamese tea affirm its prestige in the international area. Last year, Vietnam’s tea exports to the European Union (EU) surged 24.55 percent in volume and 40 percent in value, with exports to Germany posting the strongest growth of 82.9 percent in volume and 169 percent in value. This is a positive signal for the tea industry in Vietnam, particularly since the 500-million-population EU market comprises of high-income economies, where consumers want more than just low prices.